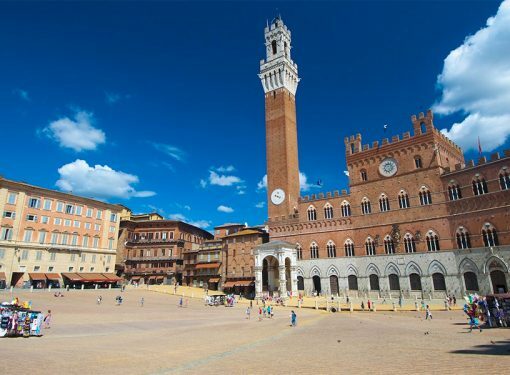 Siena is one of the capitals of Italian art and a World Heritage City of Unesco, known throughout the worldfor its unique beauty. 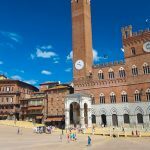 La Piazza del Campo, la Torre del Mangia, il Duomo, l’Antico Ospedale di Santa Maria della Scala, il Palazzo Pubblico, la Casa di Santa Caterina, are only some of the sites you can’t miss. 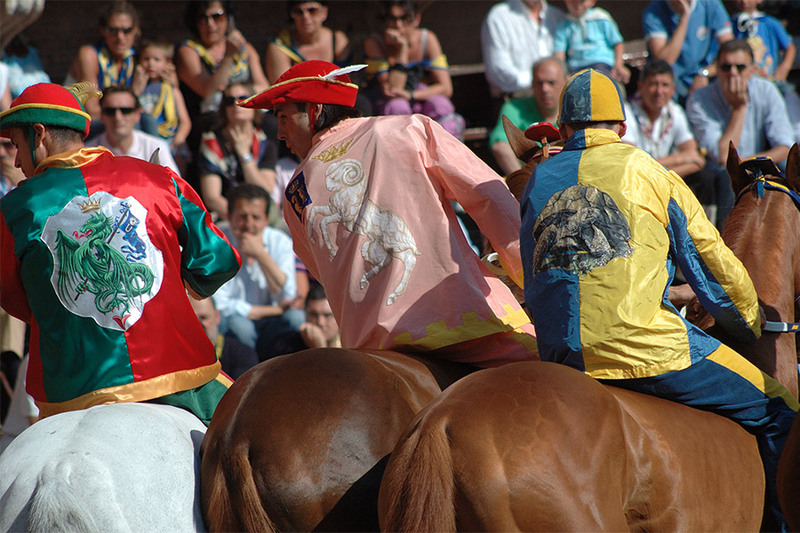 When talking about Siena, it is necessary to talk about the Palio, due to its historical importance and influence in the Sienese tradition. 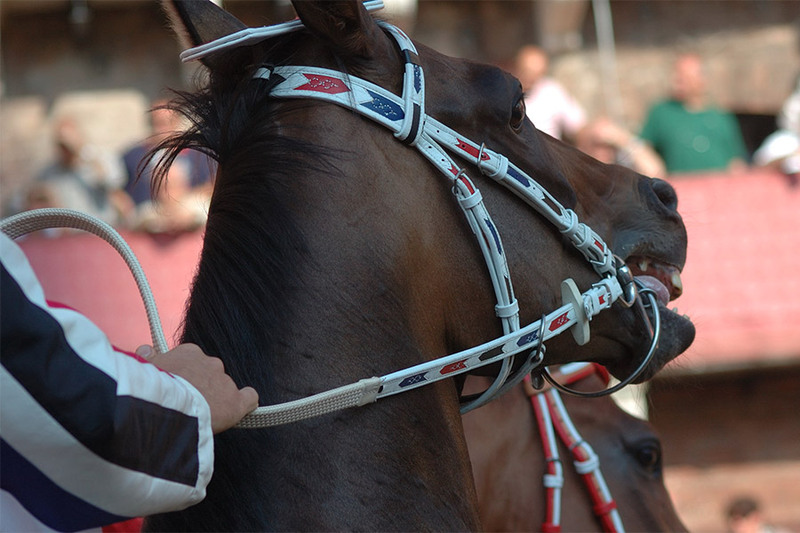 The horse Race it self takes place on July 2nd and August 16th in Piazza del Campo, but the event monopolizes the life of the city during the entire year. 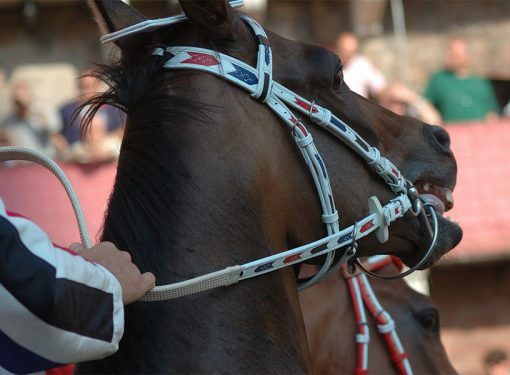 Each Contrada has its own headquarters, museum, oratory and a stable for the horse. 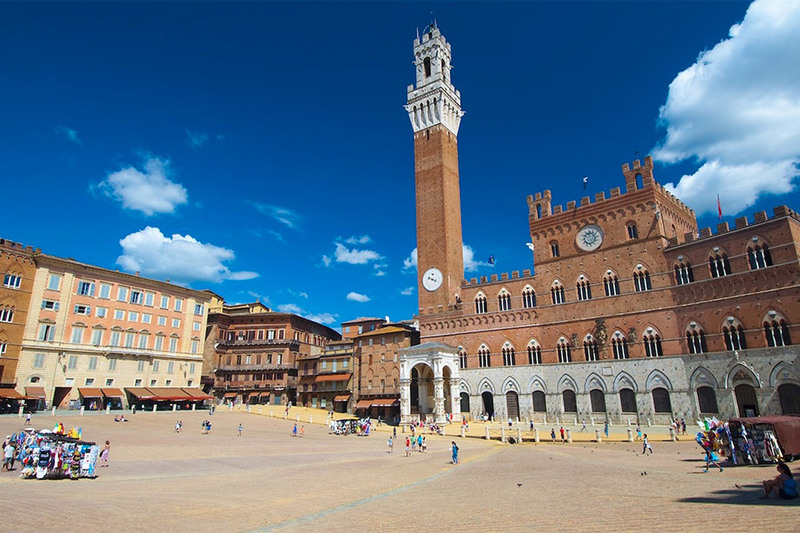 The social life of the city revolves around the 17 Contrade, (neighborhood). 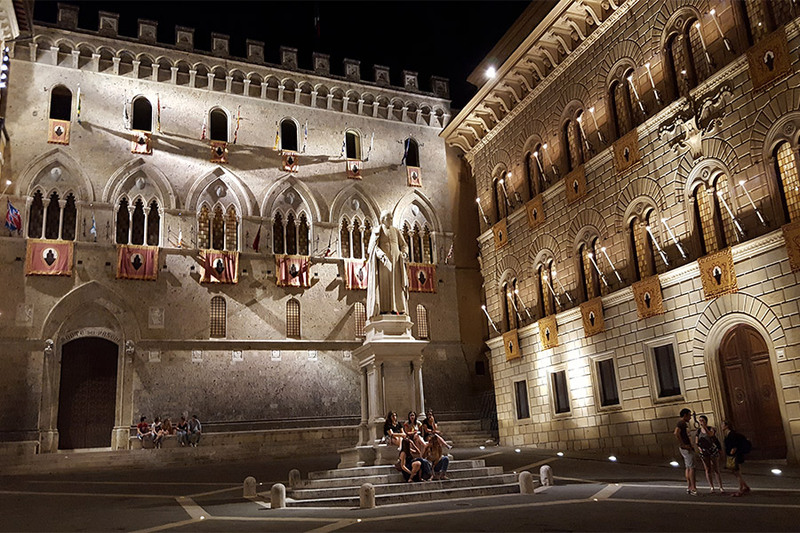 Each Contrada organizes exhibitions, conferences, sports tournaments, as well as dinners that can be located directly in the city streets. 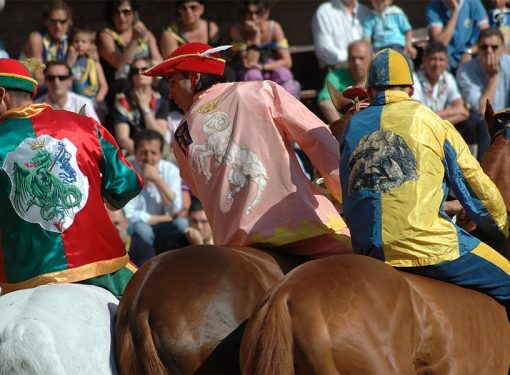 During the Palio days the atmosphere is electrifying and this unforgettable experience attracts thousands of tourists every year. 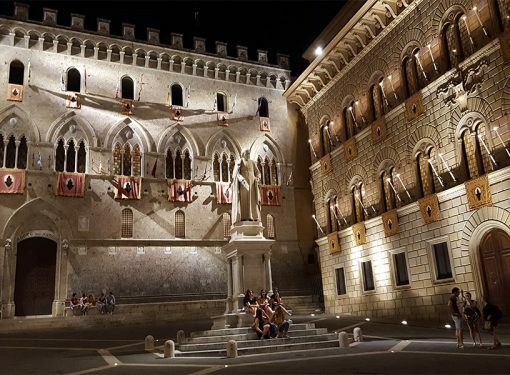 10 of the 17 Contrade compete for the Drappellone (Banner), a trophy painted every year by a different famous artist. 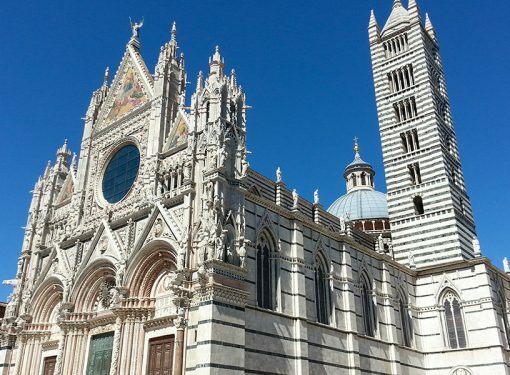 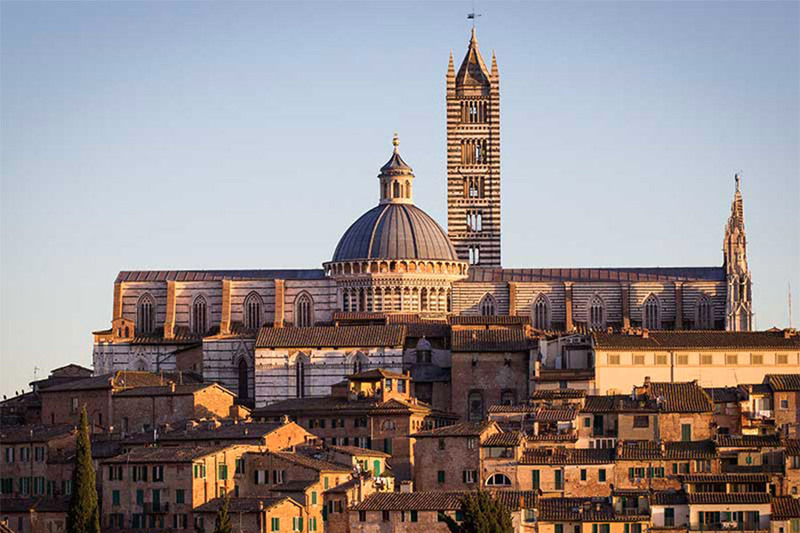 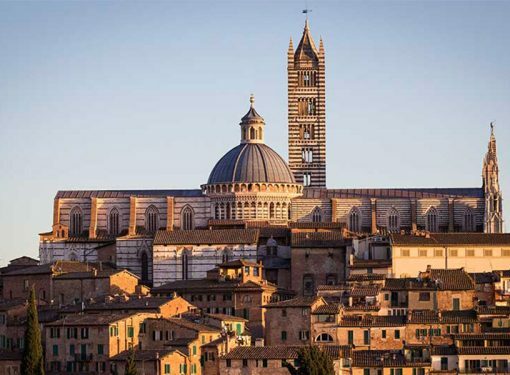 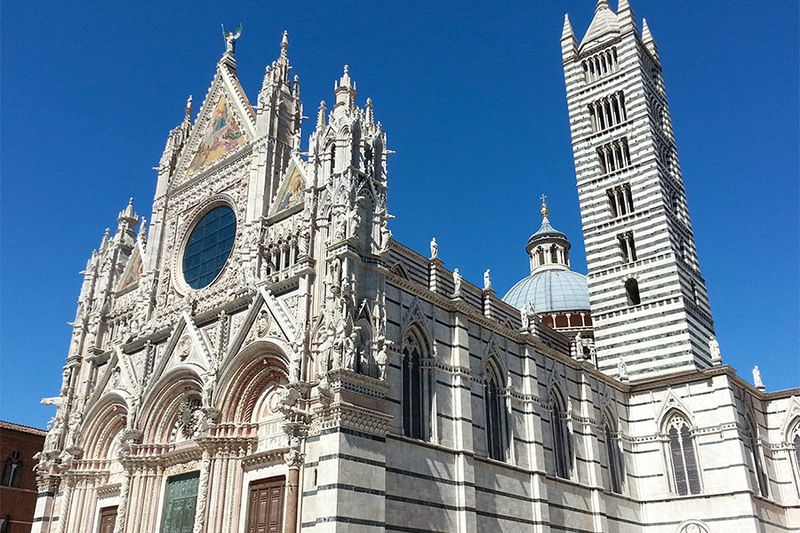 Immerse yourself in this festive climate and in the typical hospitality of Siena, the land of the Palio!